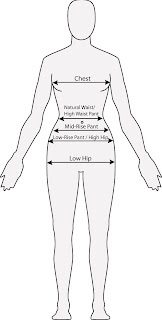 As the body gets bigger in size the body gets curvier at the bust, hips and thigh. As the body gets smaller the body becomes less curvy. C&Vs' goal to have a line that fits and flatters both body types. 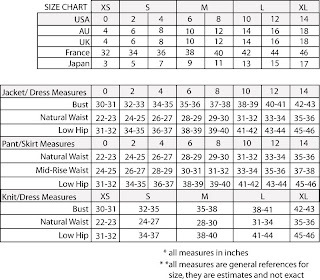 The fit is straighter from 0-6 and more curvy from 8-14.